Option 1 We suggest a small decorative plant printed in 3D to liven up that special day. You can also keep little objects inside it, such as a note, a ring, a gem or photo… Your imagination (and the size) are the only limits! 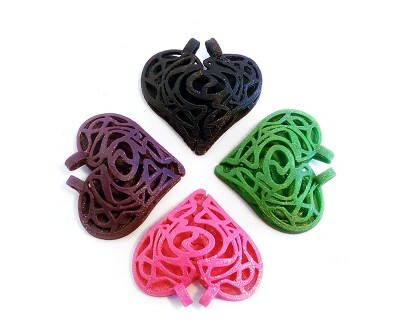 The first step is selecting which colour filament to use. 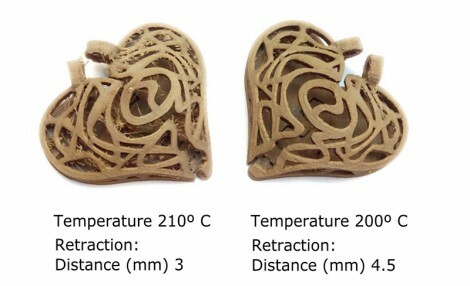 Decrease the printing temperature. 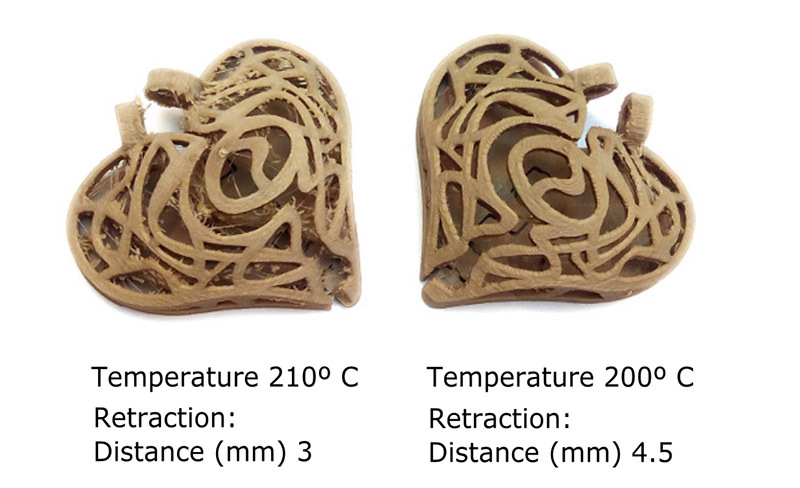 We have used PLA filament in our example, so we have decreased the usual temperature from 210ºC to 200ºC. 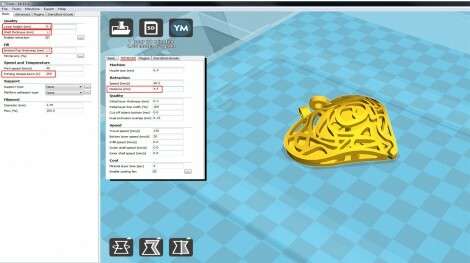 Increase the retraction distance to reduce any loose threads on the final piece. -No additional supports are required. There is a small support inside the heart which is removed after printing. 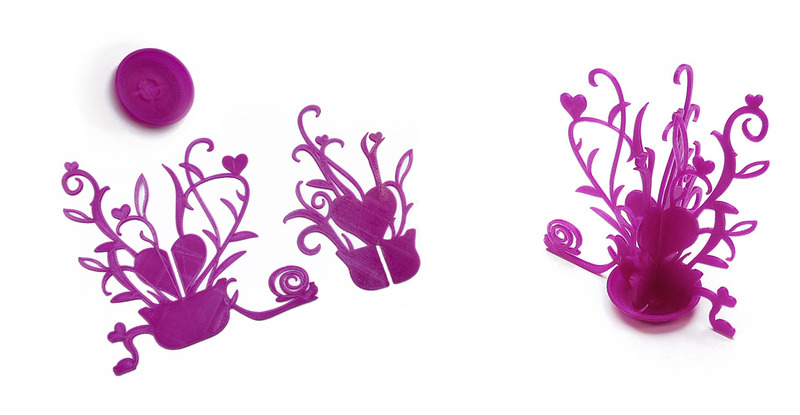 If you want a higher print quality, select 0.1 mm layer height and, to increase resistance of the walls, set it at 1.2 mm thickness. 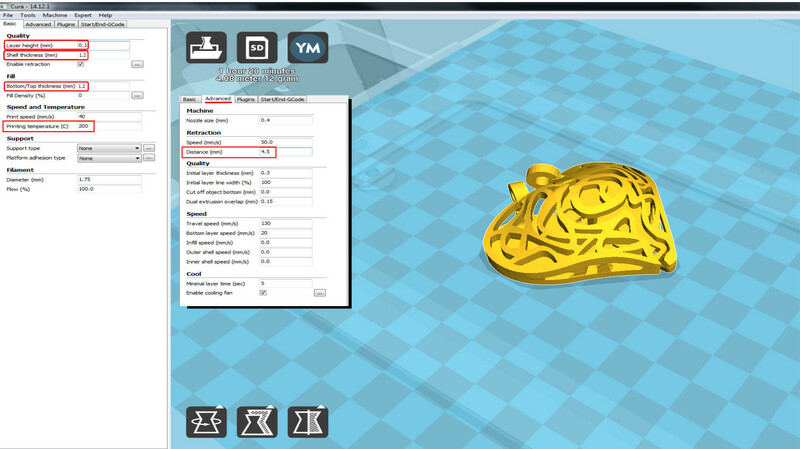 You can print with 0% fill density. You also have the option to shrink the piece to approximately 85% of its normal size. 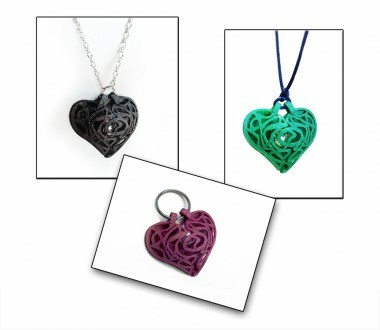 Any more than that and the hinge would be joined and you wouldn´t be able to open the heart. 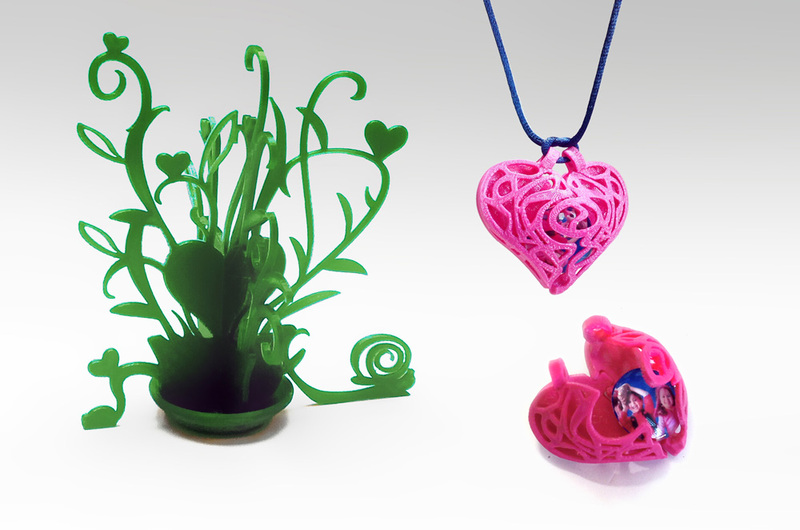 Have fun with your romantic 3D printing!